What is Friedreich Ataxia (FA)? Friedreich Ataxia is a genetic condition that affects the nervous system and causes movement problems. People with this condition develop impaired muscle coordination (ataxia) that worsens over time. Other features of this condition include the gradual loss of strength and sensation in the arms and legs, muscle stiffness (spasticity), and impaired speech. Individuals with Friedreich ataxia often have a form of heart disease that enlarges and weakens the heart muscle. Some affected individuals develop diabetes, impaired vision, hearing loss, or an abnormal curvature of the spine (scoliosis). Most people with Friedreich ataxia begin to experience the signs and symptoms of the disorder around puberty. Poor balance when walking and slurred speech are often the first noticeable features. Affected individuals typically require the use of a wheelchair about 10 years after signs and symptoms appear. Friedreich’s Ataxia is an autosomal recessive disease, which means the patient must inherit two affected genes, one from each parent, for the disease to develop. A person who has only one abnormal copy of a gene for a recessive genetic disease such as Friedreich’s Ataxia is called a carrier. A carrier will not develop the disease but could pass the affected gene on to his or her children. If both parents are carriers of the Friedreich’s Ataxia gene, their children will have a 1 in 4 chance of having the disease and a 1 in 2 chance of inheriting one abnormal gene that they, in turn, could pass on to their children. About one in 90 Americans of European ancestry carries one affected gene. As with many degenerative diseases of the nervous system, there is currently no cure or effective treatment for Friedreich’s Ataxia. Since the disease is caused by a reduction in fraxatin levels, many scientists are exploring ways to increase those levels through drug treatments, genetic engineering, and protein delivery systems. Researchers are optimistic that they will soon be closer to understanding the causes of the disease, which eventually will help scientists develop effective treatments and prevention strategies for Friedreich’s Ataxia. Normally people have 100% fraxatin, carriers have 50% and people who have FA have 25%. Lee with Samantha Dwyer at the FA meeting in Brisbane. 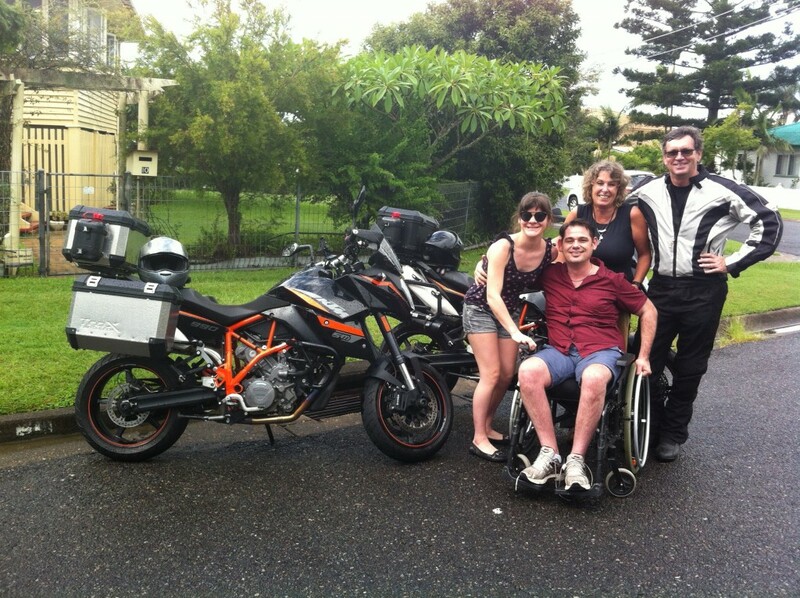 Richard Steer from FA Brisbane with Lee and Paul before their ride around the world in 2015. Read Emma’s Story about Lee and Paul’s niece. Kyle Bryant – Athlete, Speaker, Director of Ride Ataxia for the Freidreich Ataxia Research Alliance (FARA). 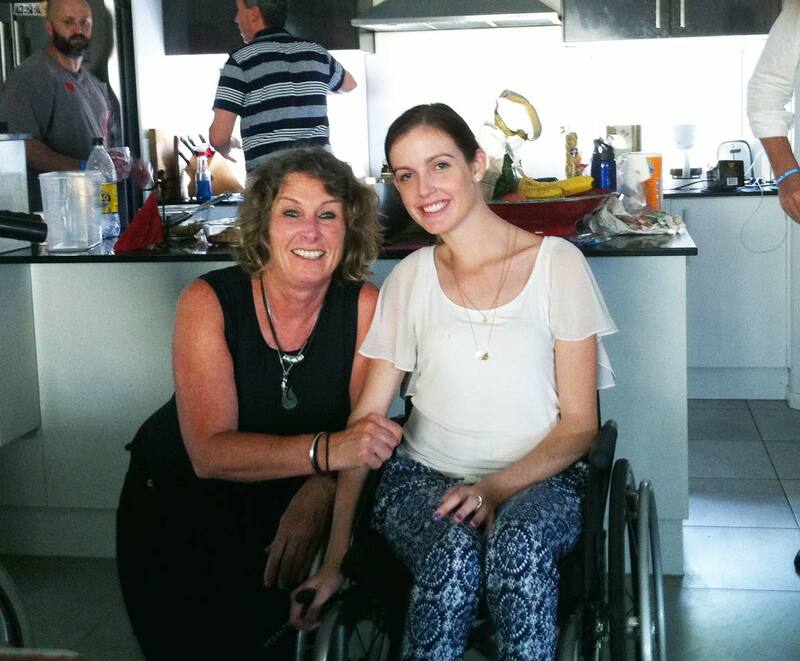 rideATAXIA – Ride to Cure FA.